Mark Zuckerberg is making the most of a structural flaw at Facebook. His supervoting shares in the $300 billion social networking company he founded are allowing him to retain control while he and his wife, Priscilla Chan, start the process of giving away almost all of their 15 percent economic interest. The beneficiaries of the Zuckerbergs’ generosity will see the silver lining in the governance cloud. The problem with different classes of shares, whether at Facebook, Google, News Corp or elsewhere, is that founders with voting control but minority economic interests may not always make decisions that benefit all shareholders. There have already been such moments at Rupert Murdoch’s News Corp and the Sulzberger family’s New York Times. They may be some way off at younger technology companies, but they will come. At Facebook, Zuckerberg’s stake, worth some $45 billion, comes with more than 53 percent of the votes in any shareholder poll, according to company filings. That rises to nearly 60 percent including stock owned by co-founder Dustin Moskovitz, which Zuckerberg usually gets to vote. As well as announcing the birth of their daughter Max, Zuckerberg and Chan just revealed that they plan to give away 99 percent of their Facebook booty during their lifetimes. Where the associated control goes depends on how their new philanthropic entity, the Chan Zuckerberg Initiative, will operate and whether the shares are sold. That won’t be an issue for a while, though. Facebook said the founder would offload no more than $1 billion of stock each year for the next three. Assume Zuckerberg hands over his roughly $430 million of regular Class A stock plus $2.6 billion of Class B shares with 10 votes each over that period, and he’d still have just over 50 percent voting power, excluding the Moskovitz shares. After that it might become more complicated. Zuckerberg could retain effective control with a large minority of the votes. Facebook could buy back Class A shares to reduce the voting power of outsiders or even, as Google did, introduce new non-voting shares. For now, though, big changes aren’t necessary. The governance implications may be dubious, but in this case there’s a potential philanthropic dividend. 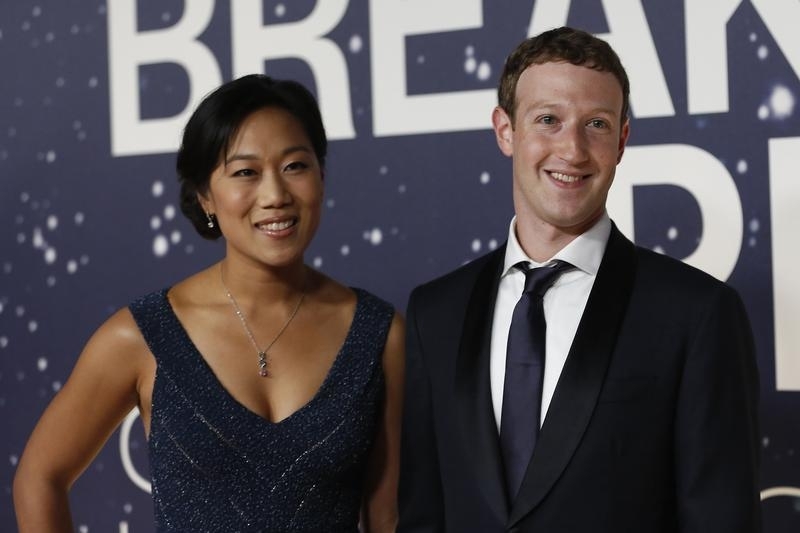 Facebook founder Mark Zuckerberg and his wife said on Dec. 1 they will give away 99 percent of their Facebook shares, currently worth about $45 billion, to a new charity in a letter addressed to their daughter, Max, who was born last week. Zuckerberg, 31, and Chan said they plan to give away 99 percent of their Facebook shares over their lifetimes to advance the initiative, which was formed as a limited liability company controlled by the two. It will begin by focusing on personalized learning, curing disease, internet connectivity and community building.